People I greatly respect (and I repeat, am not criticizing their choices), D’Arcy, Boone, Stephen are on a mission to do as much as possible to free themselves of “corporate silos”, e.g., they prefer to reclaim all of their online content to their own space. What I like most about the interwebs, is that it is a place we get to have choices, we can go to silos or dance halls (or beaches or bottom of the ocean or the surface of the moon), that as a benign (I hope) system of communication, it does not impose its will on us, it ought to be the reverse. Once again, I salute them for their dedication, but I am not in complete agreement that I want to do the same. I am quite fine (for now, til my soul gets pillaged by corporate Godzillas) with the tradeoffs of not running all my own services. There is an assumption in a statement that companies that build thing us are solely bent on monetizing us for more than what it takes to run their operations, that they are using our data, being greedy bastards, they are hungry buzzards, they are all evil. Maybe they truly are, and I am naive. But how can you run a massive operation of social photo sharing, that I see as a dance hall, or a service that provides you with all of the productivity tools you need, for free? There are servers to buy/maintain, electricity to power them, staff to keep them going and improve them? Flickr cannot likely be run based on the backs of Pro accounts- how many would be willing to pay $1000 per year to really pay for the service. So you gotta pay somehow- and that is in letting Google’s search, translation, and other engines grow “smarter” by it siloing the stuff I do. I understand the creepiness factor here, and respect the fear that with that access they could go Big Brother on us. But is there evidence this is happening? If we live in fear of everything, where does that put us? And also, do you know what your electric company does with the information on how you use their service? phone company? government tax data? If you really want to reclaim it all, that may leave you in a shack in North Dakota. I struggle to see where the information, patterns, I “give” to the silos is really anything of a loss to me. I can decide not to write a really personal email, and make a phone call, or send a letter. I can choose not to share a deeply revealing photograph. They are not reaching down into machine (that I know of); I am the gatekeeper of my own information. But if you go DIY, as D’Arcy suggests, he is escaping the corporate silos he loathes to become a social silo of his own content. I can store files and access them from anywhere. Without having to hand my bits over to any company. Except when I want to play with others. To do that, I still need to wade into the silos. Flickr isn’t about photo storage or hosting ““ it’s about seeing what my friends and family are photographing. Twitter isn’t about posting 140char updates ““ it’s about seeing the flow of activity from the people I care about. And the cost you pay is the complexity of having to do it– which, no matter what dreams people have of making such distributed presences easy, seem to me to defy a little bit of pseudo-physics; any such system is passing the complexity of maintaining it from a shared space (silo or dance hall) to the individual. 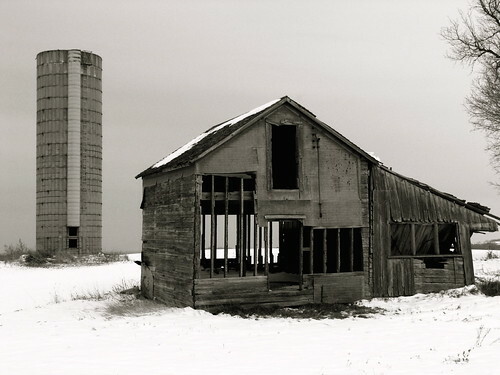 I could be proved totally wrong after a long run, but I really don’t want to run my own silos; I’d rather be dancing than hammering siding or fixing the roof. Is that lazy? Perhaps. Am I a dupe? Perhaps. To repeat myself again, I do not criticize those going their own route, but to me, you cannot have all of the connection gains, the socialness that makes the web what it is now (and hopefully will be) w/o paying somehow- it is either in giving up some of your patterns to enable those services to be free or low cost, or you pay in the time and effort to run your own. I cannot see escaping this tradeoff. 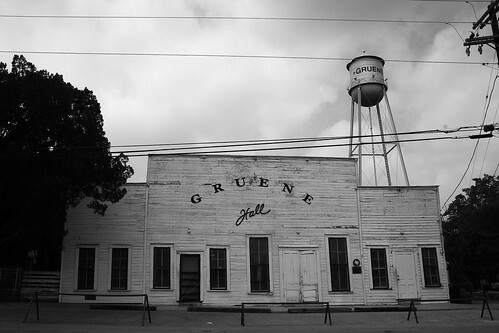 I just am not sure if we are in silos or dance halls or maybe dancing in silos or trapped in dance halls. Just keep the music going, ok? 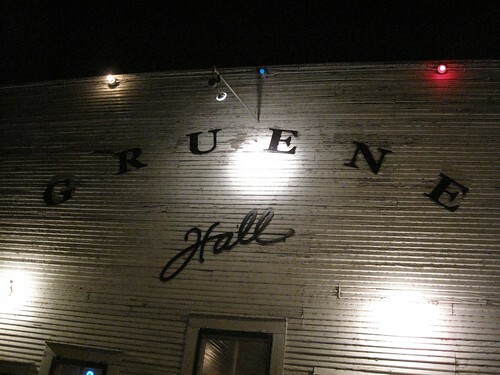 PS- I have been to Gruene Hall– definitely not a slio!